This is a quote taken from the website of the FDA, who organized a public meeting on 12 July 2018 to discuss safety-related data and information that the FDA is seeking on foods produced using animal cell culture techniques. Securing regulatory approval is pivotal for market access of this type of products. To date, there is no consensus how the US regulatory apparatus will classify Clean Meat products. It is neither clear which authority has jurisdiction over these products as to labeling, safety and inspections. Harvard Law School, in particular its representatives from the Food Law and Animal Law groups, is convinced of the potential benefits of Clean Meat and other cellular agriculture products. Therefore, on 9 and 10 August 2018, it organized the Clean Meat Regulatory Roundtable in order to address the regulatory concerns surrounding this new industry. A selection of topics discussed will be covered in two subsequent blogposts. The first one will cover some background information and a summary. 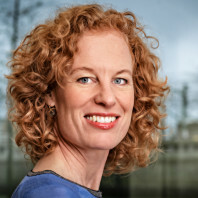 The second one will provide an overview of the most important subjects discussed and a comparison with the EU regulatory framework where relevant. 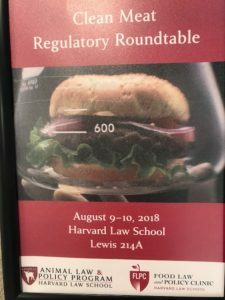 In order to let the discussion benefit from as many perspectives as possible, representatives from academia, the industry and from interest groups participated in Harvard’s Clean Meat Regulatory Round Table. Obviously, the meeting included a number of representatives from Harvard Law School. Furthermore, the nonprofit organizations Good Food Institute and the Animal League Defense Fund were present. The participating companies were Mosa Meat and Fork & Goode (both working on clean meat), as well as Blue Nalu (working on clean fish). From the investor side, Stray Dog Capital was represented and from the industry DuPont provided its input. Finally, a number of US lawyers were participating and I myself shared my insights from an EU perspective. All participants agreed to a Chattam House Rules + regime, meaning that the general flush of the conversation during the meeting can be reported, but the participant are not at liberty to identify, either explicitly or implicitly, what was the source of particular information. Clean meat and clean fish represent an emerging sector, with the promise of revolutionary innovative products. Public perception of these products, as well as trust in the safety thereof, will be of utmost importance for market success. Reliable and effective regulatory procedures as a basis for market access will therefore be pivotal. In the US, the regulatory framework applicable to clean meat products is far from clear. Firstly, it is yet to be decided which government agency has jurisdiction over these products. Secondly, the regulatory pathway is still open, whereas the available procedures of do not provide an affirmative blessing from which the sector could benefit. In the European Union, the regulatory pathway for clean meat products is relatively clear. Under the new Novel Foods Regulation (effective as per 1 January 2018), these products qualify as Novel Foods and require a market authorization from the European Commission. The Regulation as well as various EFSA guidance documents detail at length what information should be contained in a Novel Foods application. In an optimal situation, the authorization procedure could be finalized in 18 months. In both the US and the EU however, the exact designation of these products (“meat” or not?) requires further thought. On the one hand, this will require interpretation of legal product definitions and case-law and on the other hand, the interests of the traditional meat and fish sector should be taken into account.